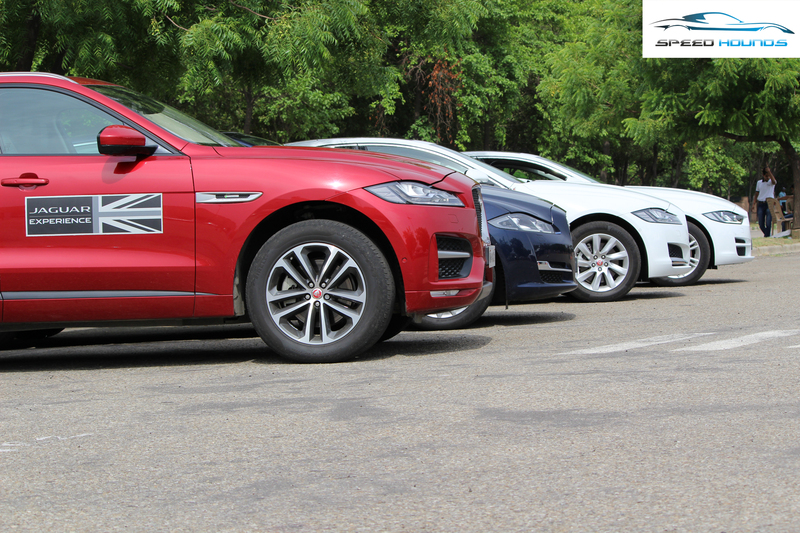 Shiva Motocorp Noida, played host to the Jaguar Art of Performance Tour for its invited guests this Saturday. A special track was laid-out for in order to provide a seamless experience, but things could have been better, more on this later. Basically meant us to take zigzag between obstacles at high speeds within split seconds. All the Jags were driven by me in sports mode, helping me to tackle those sharp turns at a speed i wanted to. 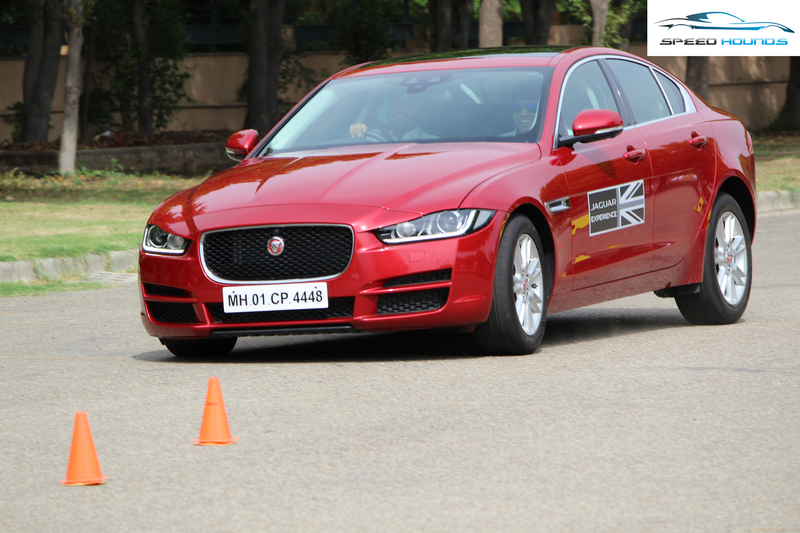 Well no guesses out of the sedans (XE, XF and XJ), the XE performed like a pro with its 240 BHP (2.0L engine). Its the same engine as the XF but the impressive power to weight ratio made the acceleration brisk and it handled turns like running a hot knife through a brick of butter. The only thing i could say against was the slight oversteer i could experience (But, still couldn’t spoil the overall experience). Within minutes i changed hands with its larger brother XF. Same engine, same tune, lengthier, wider and most importantly a stiffer chassis. Well, the stiffer chassis and the added length did take away some fun tackling a Slalom. But then the XF is more of a family saloon and it did act like one. None would actually drive it like we were with a family. XJ was simply a limo to drive, considering we don’t really have many such large sedans here in this part of the world. Not that it was not agile but, but was not slalom friendly considering the way its built. Surprisingly, the first SUV from their stable, also the 2017 world car of the year, the F-Pace impressed me the most. The new ingenium engine was so damn refined. The clatter which is evident in most of the German offerings was not at all an issue in F-Pace. Remind you, one needs to be extra safe in case one needs to tackle curves (be that a lady or on the road). Certainly not with the F-Pace, body roll i was expecting was so well controlled, even though the center of gravity is on the higher side. It would be a breeze to tackle the mighty Himalayas with this British SUV. The course for this activity where we would change lane at high speeds and brake hard. At first most participants were anticipating turns and hence most started with a slower speed. Once stopped anticipating them i started to make the sudden lane change at the farthest point and then brake hard. 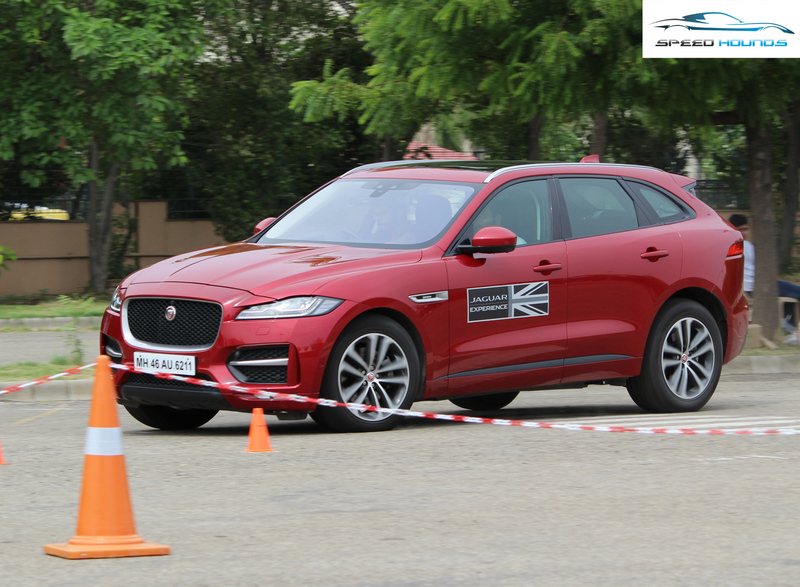 XE and XF and F-Pace had impressive braking capabilities. Here the F-Pace was the 3.0L V6 engine with impressive 700NM torque. XJ-L was the long wheel base version and as expected, took longer time to come to a halt. Being nose heavy the XJ-L had the peculiar nose dive while extreme braking. By the way i am nowhere stating that XJ is not a performer. The 700Nm torque is evident while driving and provides the best rear seat comfort with all the luxuries. It is just that the saloon is not meant for the activities we were performing. One of the best experience was shot lived. Here the Jaguar F-Type convertible with a V8 5-Liter Supercharged engine was pushed hard on a 180m straight before we had to brake and turn back. By braking i never meant braking hard or slamming the brakes, it was merely a soft press on the pedal. 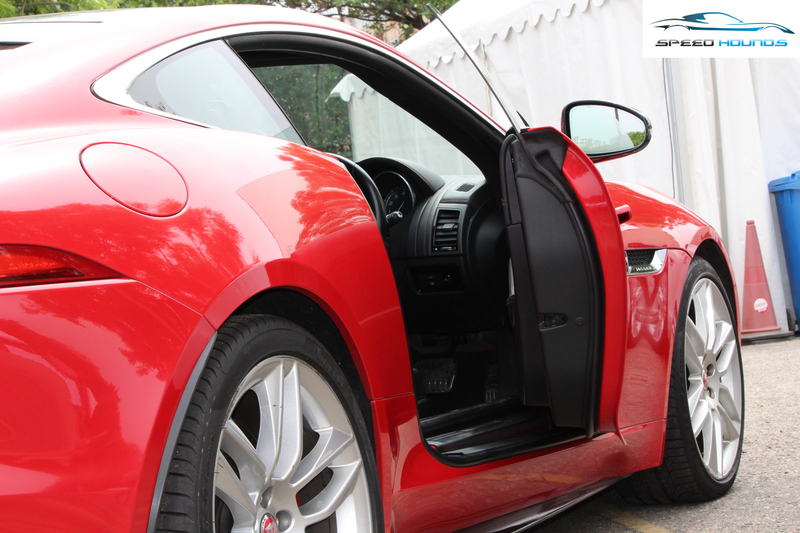 The F-Type was accelerated as hard as we could before hitting the brakes, touching almost 110 km/h. On acceleration the engine howl was a pleasure to hear and the roller-coaster-ish belly tickle could be listed in their feature list for sure. 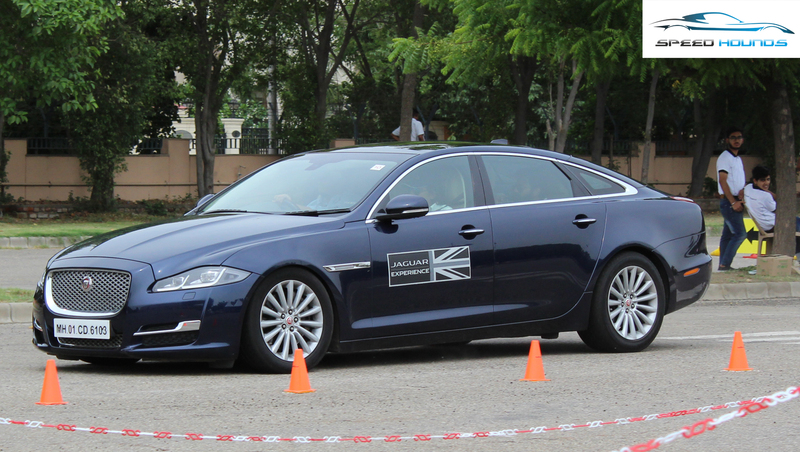 Well, the British machines at the Jaguar Art of Performance Tour were not only luxurious but also fun to drive. The event could have been better if it was on the BIC like other manufacturers, True potential of F-Pace, XJ and F-Type could not be experienced at this venue. Now that Jaguar has an SUV introduced, the manufacturer could have given an off-road experience as well, similar to what the parent company is doing for Hexa.